The Bank of England says the UK’s economy could slip into a recession and be worse off than it was following the financial crisis, should the country leave the European Union without an agreement. Specifically Mark Carney, the BOE governor, warned businesses are unready for a no-deal Brexit. The BoE in a comprehensive report on the UK’s exit from the European Union on November 28, says that the UK government is unlikely to be ready to adopt new customs arrangements by March 2019. The report, which was in response to the Treasury Select Committee (TSC) of the House of Commons, analysed three scenarios, with a worst case scenario – a “disorderly” Brexit – seeing UK GDP plummeting by eight percent in 2019. Following the financial crisis, UK GDP fell by 6.25 percent. By the end of 2023, the scenario forecasts GDP more than 10% lower than the BoE’s forecast from May 2016, made prior to the Brexit vote. The dramatic fall in growth would be the lowest since the UK returned to the gold standard in the 1920’s, Ben Broadbent, deputy governor said. “The TSC requested that the bank focus on the consequence of a potential new economic partnership with the EU and a non-deal, no-transition Brexit scenario,” Carney explained at a press conference. 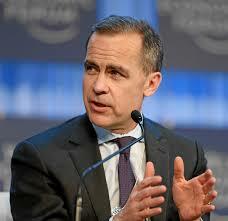 The BoE said the recession could see unemployment rise to 7.5 percent, while inflation could soar to 6.5 percent. In such a dramatic scenario, the BoE would be forced to raise interest rates to 5.5 percent. The disorderly Brexit scenario would see the UK lose existing trade arrangements that it currently has with non-EU countries through membership of the EU. In the scenario, the UK’s border infrastructure was assumed to be unable to cope “smoothly” with custom requirements. There was also a pronounced increase in the return investors demand for holding sterling assets. According to data from the BoE, up to a quarter of a million traders have never completed a customs declaration. The UK government has initiated 12 major projects to replace key border systems, of which 11 are at risk of not being delivered by 2019. Alongside its severe scenario, the BoE also analysed a deal where the UK would maintain a close relationship with the EU. Under such a scenario, the UK economy could receive a boost with GDP rising to 1.75 percent above the BoE’s November forecasts. Some of the economic losses already suffered since the referendum will never be recovered. Unemployment could fall to 4 percent while inflation settles at 2.25 percent in a more favourable scenario, but would rest upon an agreement with the EU that provides frictionless trade in goods at borders with little barrier. WTO scenario The BoE also analysed what would happen were the UK to leave the EU and adopt a World Trade Organization arrangement. Relative to the BoE’s November forecasts, this scenario would see GDP fall between 2.5 percent and 5.5 percent by 2023. Unemployment would rise to 4.5 percent by the end of the policy horizon. “Inflation picks up sharply after the move to WTO trading arrangements, driven by the introduction of tariffs,” the BoE says. The data shows inflation would peak at 3 percent in 2021. In its assessment, the Bank of England also explains what the role monetary policy would play during the transition period. “There is little monetary policy can do to offset supply shocks,” the report says. While these sorts of shocks rarely occur in advanced economies, in response to Brexit the BoE says its response would depend on whether the hit to demand was more than to supply, and the extent of any exchange rate effects on inflation. The BoE also warned that European regulators need to provide more detail on how they would deal with central counterparties (CCPs) in the event of a disorderly Brexit. “The European Commission has indicated that it is willing, in a no deal scenario, to act in respect of cleared derivatives that would allow UK CCPs to be recognised by Esma [the European Securities and Markets Authority],” the BoE says in its latest financial stability report, published alongside the Brexit report. But further information is still required on the scope, conditions and timing of these actions. In addition, if UK CCPs are not recognised after Brexit, EU counterparties will need to make new arrangements with other CCPs. “This creates material risk of disruption to those EU counterparties,” the BoE warns. If the issue is not clarified, derivatives contracts held by EU clearing members with UK CCPs would need to be closed out or transferred by the end of March 2019. The European Central Bank estimates EU-based firms clear 90 percent of their interest rate swaps in the UK. Overall EU-based firms have over-the-counter derivatives contracts with a notional value of £60 trillion ($76.7 trillion) at UK CCPs, an increasing share (£45 trillion) of which matures after March 2019.